A.I, or Artificial Intelligence, may still seem like science fiction to you, but it is actually being used more and more to perform processes behind the scenes in this technology driven world. Case in point: Google’s RankBrain is where A.I. meets SEO. No, you didn’t just start reading a chapter from Star Trek, A.I. is real and it is becoming more a part of our lives each day. Foregoing any sort of formal announcement, Google’s Senior Research Scientist, Greg Corrado, casually mentioned it during a recent interview with Bloomberg. Google’s algorithms, currently hummingbird, take a search inquiry and breaks it down into keywords which they then match to keywords elsewhere on the Web in order to give the user the best results related to the search request. That is the short version. RankBrain will now come alongside, not replace, the current algorithms and, instead of determining the results based solely on the keywords, Rankbrain can display search results based on what it is the person searching is really looking for. In other words it uses the keywords to put reasoning behind the search, learns from other searches performed, and serves up even more targeted results. Will RankBrain Affect My Website Search Traffic and SEO Strategy? The question on everyone’s mind now is, “How will this affect my current website traffic and SEO strategy?” The answer is, if you are doing SEO right, then it won’t change anything. Google has been shaping their algorithm for some time now to focus on serving results comprised of quality content that is readable for humans, not search engines. This content is built around what the consumer is really looking for and what RankBrain is looking for, and, as brands and business owners, you should be delivering this type of content already. Those that are still using the keyword stuffing method to rank in search will not survive. 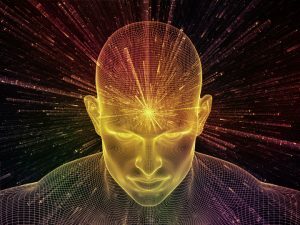 RankBrain could already be affecting your search traffic and you may not even realize it, since for several months prior to making any announcement Google has already been rolling it out. If you haven’t been cleaning up your keyword stuffed content, you better get busy. BTW … Our team at Advice can help, if you need us. We are just a click away. Know your audience. I’ve said it before and it cannot be stressed enough. Your content must match what your audience is searching for. Know the questions your customer have or the problems they need solved and focus your content around those things. Find out what your audience wants by simply asking them in surveys and paying attention to comments, likes, and shares on your social media sites. Communicate with sales and customer service teams because they are interacting with your customers on a daily basis and hear their questions, problems and needs. SEO is not dead and, in fact, RankBrain makes SEO even more crucial in all of your content, but your SEO strategy needs to be incorporated into your content marketing strategy. These are no longer two independent processes, but interwoven tightly together. Want to know more about RankBrain? Here is a good FAQ to check out. If you remember your content has to be useful, helpful and be what your audience is looking for you will be good to go. What do you think about the use of artificial intelligence in search engines? Bring it on RankBrain. We are ready! Good stuff Bernadette! Love brain related topics so definitely will share on my social media channels. Following those four tips for the sake of satisfying rankbrain will, in all likelihood, create a robust and prosperous business. By the same token, if you are an ‘old-school’ business person the guidelines are probably being followed already. Thank you Google for giving relevant businesses proirity. Well said “Bernadette Coleman” SEO is still alive. We only need to change the way we write the content. Think for users not only for Google.